“I am a gay man with an extremely open heart. God, I’ve never had to talk about this, so I’m trying to find the words. 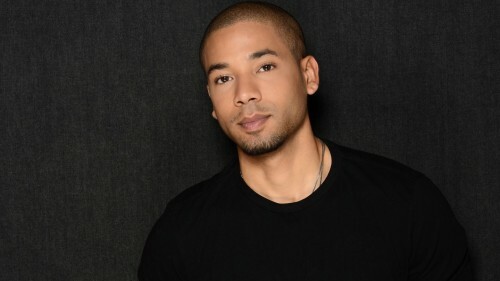 If I had to label myself, I would label myself as a gay man,” Smollett said in an interview with Out magazine. “With that said, I believe that love is the only thing that matters, and I would hope that anybody would leave themselves open — not to gender, but to love. I would hope that people would not close themselves off from what could be if, lo and behold, you meet somebody that just sweeps you off your feet, and you just can’t do anything about it. If we truly believe that we are born this way, then why do we try to stifle the way we were born? If I fall in love down the road with a woman, I’m going to love that woman. I was told by two executives, ‘You know, maybe just wait. Just wait,’” the actor recalled. “You mean to tell me just because I make movies and TV and music that I can’t talk about what’s going on in the world I live in? Really? That’s not fair. Forget that. Because I’m scared that maybe viewership is going to go down? Or my next single isn’t going to do as well? Or I won’t get a movie? –Empire’s Jussie Smollett, speaking to OUT magazine.